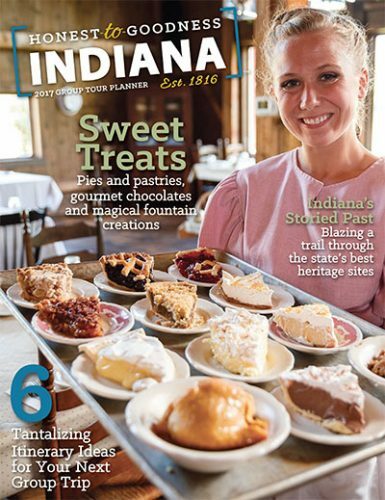 Historic buildings, expansive museums and friendly Hoosier artists welcome groups to Indiana. Known as the “CROSSROADS OF AMERICA,” Indiana has developed an artistic and architectural sensibility formed by travelers from all corners of the nation. Historic structures include Greek Revival civic centers, rustic pioneer homesteads and Gilded Era mansions, while buildings by famed architects Frank Lloyd Wright and I.M. Pei are open for public tours. Museums across the state display everything from European Impressionist masters to African folk art, and local galleries see contemporary artists practicing their craft. Hoosier craftsmen often invite visitors to watch as they work, and classes are available to nurture the budding artist in every group. Architecture tours allow groups to absorb the local color of a city and interact with passionate guides, and every region of the state features buildings with history in every corner. Most notable is Columbus, a city of 45,000 with sculptures and public buildings that draw international visitors. Many of the city’s structures are exemplars of mid-century modernist design, which emphasized open floor plans and flat planes to define American style during the Space Age. The mid-century modernist buildings of the city center come from the vision of J. Irwin Miller, the late chairman of Columbus-based Cummins Engine Co. To attract design talent, the Cummins Foundation in 1957 started paying the fees for architects with worthy school designs. Firms soon began to lobby for a contribution, and now many of the city’s modernist buildings are National Historic Landmarks. Represented are notable architects I.M. Pei, Harry Weese and Kevin Roche, and contemporary designers continue to flock to the area. One- or two-hour architecture bus tours, with step-on guide, leave from the Columbus Visitors Center and include an orientation video. Another bus tour goes to the Miller House and Garden, the 1953 home of J. Irwin Miller. Designed by Eero Saarinen, it is a National Historic Landmark and one of the most highly regarded mid-century modernist homes in the U.S. Walking architecture tours of Columbus also are available. 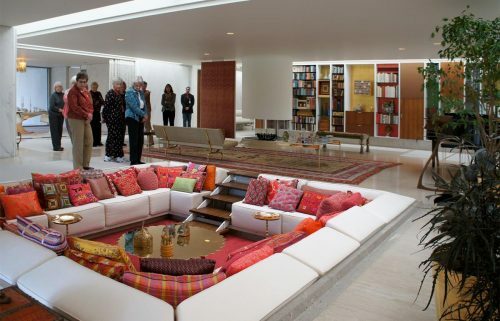 Groups interested in other modernist homes should travel north to West Lafayette, home to Frank Lloyd Wright’s Samara. Considered an exceptional example of the Usonian movement, the house was designed for maximum efficiency and features the clean lines and balance found in East Asian interior design. 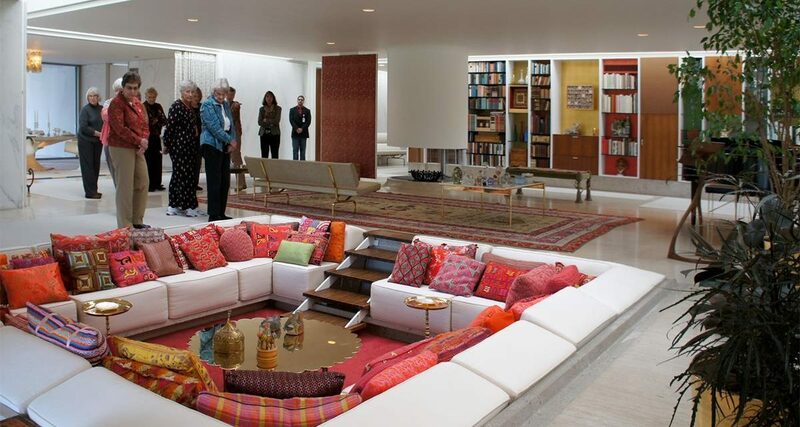 The home was designed for Purdue University professor John Christian and his wife Kay, who wanted space to entertain faculty and welcome students for lectures. The design bears this out; the lounge integrates steps, benches and compact chairs to easily fit 50 people in a space no larger than a typical American living room. The entire house was designed around the number four, with everything from windows to the showers forming perfect squares, and the adjoining Japanese garden continues the theme of harmony to the outside space. House and garden tours are available upon request, and groups can also learn more about Dr. Christian, who pioneered the field of bio-nucleonics. For one of the country’s best examples of modern greenhouse design, your group will travel farther east to Fort Wayne. Creating a modern space while integrating design cues from turn-of-the-20th-century gardens, the Foellinger-Freimann Botanical Conservatory is found in the heart of downtown. The conservatory features a 25,000-square-foot seasonal showcase garden and themed desert and oasis areas that together house over 500 species of plants and cacti. 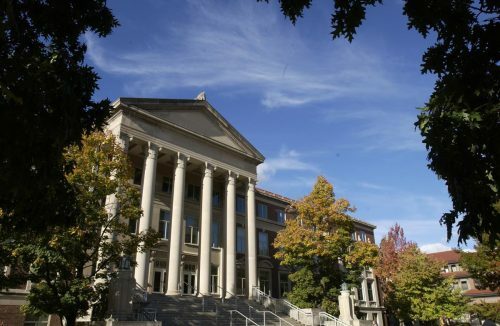 Further architectural inspiration can be found on many of Indiana’s university campuses. South Bend’s University of Notre Dame is home to acres of Gothic structures, with the iconic “Golden Dome” administration building and Washington Hall open for tours during campus hours. The tallest university chapel in America, the Basilica of the Sacred Heart is sure to impress with its compelling international design details. The stained-glass windows were imported from northern France, the ceiling frescoes created by a Vatican painter and the stone statue of Jesus and Mary was sculpted by noted Croatian artist Ivan Mestrovic. The state has a proud arts pedigree, having produced notable figures such as William Merritt Chase, William Forsyth and Edith Pfau. Along with this homegrown talent, Indiana’s many world-class art museums display works by American and international artists in compelling gallery spaces. The Indianapolis Museum of Art (IMA) features the largest collection in the state, with works by Claude Monet, Paul Gauguin and Vincent van Gogh. Large spaces for African, Asian and Mediterranean art are open for docent-led tours, while revolving exhibits showcase new works from international artists. The outside garden space aims to emulate the German idea of “gesamtkunstwerk,” or integrating art, environment and viewers. Over 100 acres of walking trails take visitors past amphitheaters, fountains and interactive sculptures. The grounds’ most famous piece is the “LOVE” structure, designed by famed Hoosier artist Robert Indiana. Behind the museum is an 18-hole miniature golf course that celebrates the state’s 2016 bicentennial; holes range in design from Kurt Vonnegut’s writing desk to an IndyCar racetrack. Other notable Indianapolis art repositories include the Eiteljorg Museum of American Indians and Western Art, which focuses on pioneer painters and contemporary Native American artists, and the Indiana State Museum, which boasts tactile exhibits for younger groups and rotating art displays for older ones. Both museums are located along the Indiana Central Canal, which flows by murals and sculptures perfect for outdoor viewing. The IMA is only one of many exceptional art museums in the state. The Indiana University Art Museum in Bloomington has three floors and thousands of pieces from around the world. South Pacific tribal carvings, Native American jewelry and Renaissance portraits are on display, and works by developing IU artists are rotated throughout the expansive gallery space. Docents and professors illuminate groups on everything from Greek pottery to modern African folk art, and sculptures found throughout the university campus make for an incredible walk in warmer months. Founded by Civil War veteran Sheldon Swope, the Swope Art Museum in Terre Haute has one of the foremost collections in the country, with works by American painters Edward Hopper and Grant Wood. Programs encourage modern talent by local and national artists, and groups can walk through galleries of Andy Warhol prints and Alexander Calder mobiles as well as see Indiana artists at work. 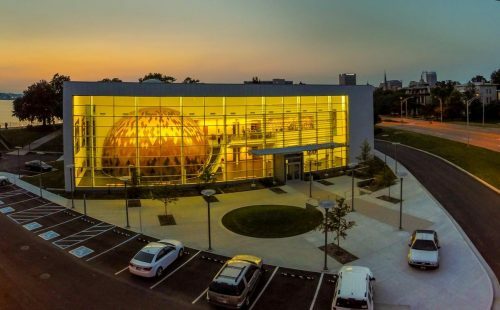 An immense glass structure along the Ohio River, the Evansville Museum of Arts, History and Science explores the many cultural contributions of Southern Indiana. 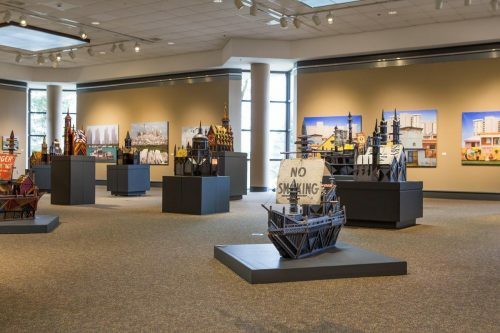 Exhibits include Rivertown, which recreates 19th century Evansville with period-accurate architecture, and the Arms for Victory Gallery, which recalls Evansville’s role as the largest inland shipbuilder during World War II. Other galleries contain regional art and hands-on science exhibits for school groups. The Koch Immersive Theater has planetarium shows and full-dome projection movies using the latest digital technology, a surround-sound speaker system and stadium seating. Next to the main building is the Evansville Museum Transportation Center, with trains, cars and buggies from past eras. Want to meet the artists themselves? Workshops throughout the state are filled with welcoming Hoosier artists eager to share their craft. A refuge to painters for over a century, the Brown County Art Colony in Nashville still produces nationally renowned artists. Painters began to converge in the area around the turn of the 20th century and dubbed it the “Beautiful Valley” for its gorgeous forests and streams ideal for landscape depictions. The town’s most famous resident was T.C. Steele, a key member of the Hoosier Group of painters. His Midwestern landscapes are considered innovative approaches to depicting light and texture, and he became one of America’s most famous artists in the first decades of the 20th century. The combination of Steele’s fame and the construction of a local inn and more studios quickly made Nashville the arts destination it remains to this day. Groups can pass through the studios to see the craftspeople at work and explore the same nature trails as those pioneering painters. Also open is the T.C. Steele State Historic Site, where visitors can walk through the artist’s own studio, see over 50 Hoosier Group paintings and walk the grounds that inspired much of Steele’s own work. The Colony offers classes led by resident artists themselves, so your group can learn the basics of sewing or watercolors in welcoming workshops. The area is particularly popular in the fall, when the autumn colors make for beautiful backdrops to the many antique stores and galleries, and the county’s biking and hiking trails are recognized as some of the best in the country. Farther south, the Zimmerman Art Glass Factory in Corydon is a popular group stop that has recently expanded into a larger location. From bleacher seats, visitors can witness the glassblowing process up close and see molten material take shape by the hearth. 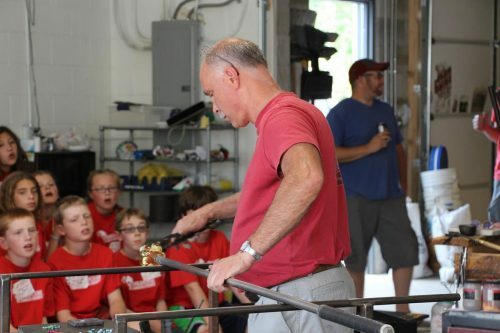 Run by the same family for four generations, the workshop is an excellent introduction to glassblowing for all ages, and the accompanying shop sells, vases, candle holders, paperweights and more. Opalescent Glass Factory in Kokomo is the oldest continually operating glass factory in the country and open for weekday tours. Sheet glass is still created as it was at the turn of the 20th century, and visitors can leave with a souvenir panel or bowl. Members in your group may be tempted to create some art themselves, and art districts throughout the state are populated with craftspeople eager to teach everything from pottery to painting. West of Indianapolis, the Gallery on the Square in Danville is a co-op space that’s home to over a dozen artists. A rotating schedule of artists is available to teach bus tour groups a specific skill, such as purse- or jewelry-making, and the local Hendricks County bureau can package these workshops with a meal on the city square. In Hamilton County north of Indianapolis is the Carmel Arts & Design District. Comprising 15 galleries and many public displays, the district is integrated into downtown Carmel and makes for an excellent afternoon of browsing or work-shopping. Several of the resident artists teach painting and mosaic basics to traveling tour groups, and frequent gallery walks allow you to talk at length with art proprietors with accompanying jazz performances. 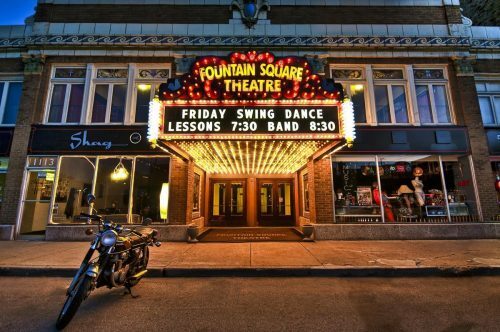 Voted one of the hippest neighborhoods in the Midwest, Fountain Square in Indianapolis is a great place to see the work of up-and-coming artists. Virginia Avenue is lined with galleries and studio space bursting with young talent, and your group can learn the fundamentals of pottery at the hands-on Fountain Square Clay Center. An emerging approach to state touring, arts trails allow groups to pass through several cities and experience local artwork on a predetermined route. The Northern Indiana Tourism Development Commission has created several of these tours to highlight the region’s Amish and bohemian heritage. Each of the Art & Earth Trail’s seven legs winds through a Northern Indiana county, featuring stops at local artist workshops, historic sites and restaurants. The Shipshewana Trail, which passes through the rural communities of LaGrange County, highlights various Amish homesteads. Your group can stop by local stores and purchase handmade furniture and quilts while passing through the production areas that still use 19th century technology. The county’s Galarina Folk Arts sells oil paintings by Will Moses (the great-grandson of acclaimed folk artist Grandma Moses), while the Shipshewana Flea Market features over 900 vendors. The largest flea market in the Midwest is a boon for antique hounds and art collectors, as they’ll find glassware, baskets and other crafts created by local Hoosiers. Farther west, the Lakes Trail brings visitors to the welcoming waterside communities in Kosciusko County. Stop by Warsaw Cut Glass Company Inc., in business for over a century and still using the same 1911 vintage machinery and workspace, and the Water Lily Art Gallery, which produces beautiful landscape paintings of nearby Lake Wawasee. Winona Lake is surrounded by quaint shops and eateries, including the Asian and Mediterranean offerings at Cerulean Restaurant and the gourmet coffee at Light Rail Cafe & Roaster. The Hallmark Ornament Museum east of the lake displays over 4,000 Hallmark Keepsake ornaments, including many that weren’t officially produced. Visitors can see Halloween, Easter and Christmas ornaments dating back to 1973, and you can purchase a rare back issue keepsake for family or friends back home. Farther west in Munster is the Theatre at the Center, which welcomes large groups to its year-round slate of performances. Local actors present classic Broadway musicals and children’s shows on an innovative circle stage, and artwork by local artists is displayed and available for purchase in the lobby. With a half-mile winding prayer trail that follows the last days of Jesus’ life, The Shrine of Christ’s Passion in St. John is a must-see for groups interested in sculpture and religious art. Forty life-sized bronze statues depict famous New Testament scenes such as the Last Supper, the Agony in the Garden and the Crucifixion. Narration is provided by iconic Chicago broadcaster Bill Kurtis, and the tranquility encourages visitors to explore at a thoughtful pace. 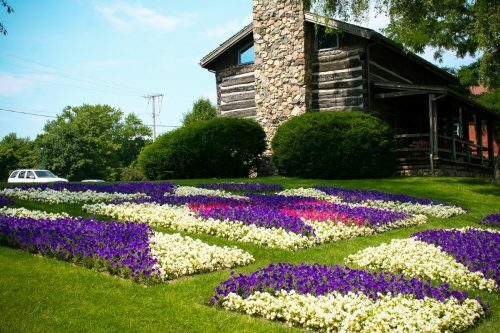 One of Indiana’s most famed arts showcases is the nearly 20 Quilt Gardens that dot Elkhart County from May until October. This ambitious project covers over 23,000 square feet of soil and includes an estimated 150,000 annuals to create gardens with patchwork patterns. Spearheaded by the Northern Indiana Tourism Development Commission, the project is now in its 10th year and is complemented by over 20 hand-painted quilt murals. 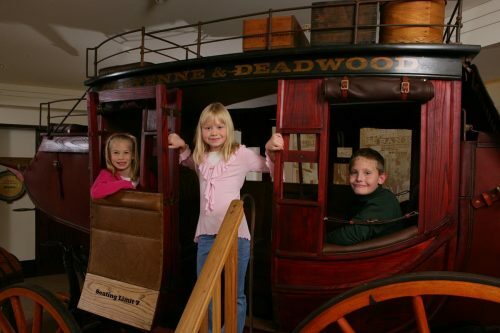 Considered the “RV Capital of the World,” Elkhart is also home to several notable museums and gardens. The RV/MH Hall of Fame covers over 100 years of mobile home history with antique Winnebagos and Airstreams, and the Ruthmere Mansion is a masterpiece in the Beaux Arts style. 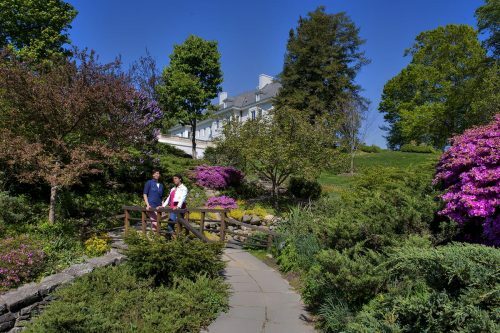 Visitors can wander through the gardens and social spaces once used by businessman Albert Beardsley and his wife Elizabeth, a notable women’s rights activist. Next door in LaGrange County you will find the Barn Quilt Trail. Tour groups can view over 37 hand-painted murals, each one telling a unique story throughout six local communities. Colorful quilt-pattern murals adorn historic barns, homesteads and public spaces, celebrating the history of agriculture, the time-honored tradition of quilting and the community’s passion for art. No matter if your group has an hour to dedicate to arts and architecture or an entire trip, Indiana has an abundance of opportunities. From peerless painting collections to regional historic tours, the state offers an exciting artistic option that will satisfy your group.